Enhance your yard or garden with a uniquely designed structure from Dakota Unlimited. Our specialty builds include landscaping structures such as pergolas and arbors, along with unique fencing designs you’ll only find at Dakota Unlimited. A variety of gate designs, always custom built to your needs and property. Split Rail and Post & Rail Fences in both wood and maintenance free options. Work with us to create a design that is truly a one-of-a-kind fence design. Supports flowers, vines or climbing plants to beautify your yard. 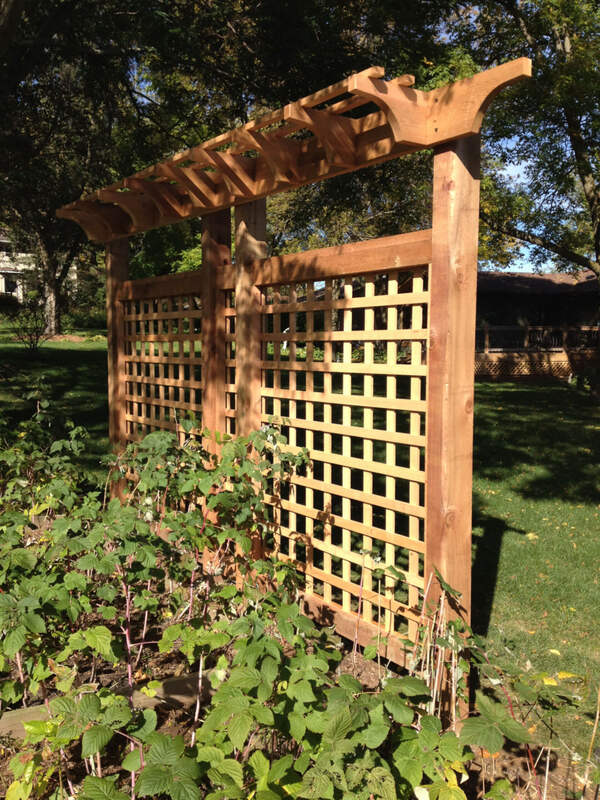 Lattice style fences, arbors or trellises are custom designed to your specifications. Enhance your walkway and provide room for your plants to grow! One of a kind structures to add beauty to your outdoor space. For three decades, we’ve grown and become a recognized as a leader in innovative designs, quality materials and reliable and professional installation and repairs. You can’t go wrong by selecting us to take care of your fencing investment. We know you want to feel confident in the company you’re working with. Choose the fence company with the best reviews and highest referral rates in the business.